Newscomic recycles the news, re-mixes it, subverts and distorts it. It takes live news feeds (RSS feeds) from major news sources, chops them up at random and puts the resultant text into speech bubbles in a comic. 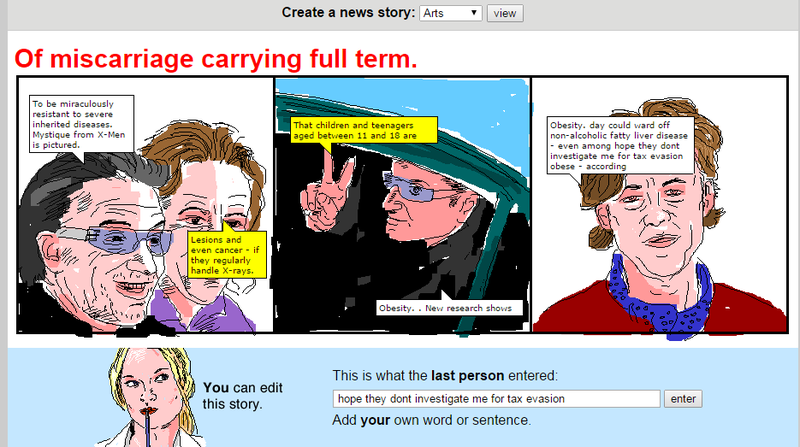 The comic illustrations reflect the current latest news, and are regularly updated to keep up with the news. The result is a disjointed comic, where the words and pictures don't quite fit but make their own story. To make the story more fun, you can contribute by adding your own words and sentences (up to a hundred characters long). These replace the word 'the' and other characters in the speech text. You can use this to perhaps get your own views across, or to manipulate the story so it makes more sense to you. Your word or sentence is stored and seen by the world until the next person comes along, and adds their words, replacing yours. 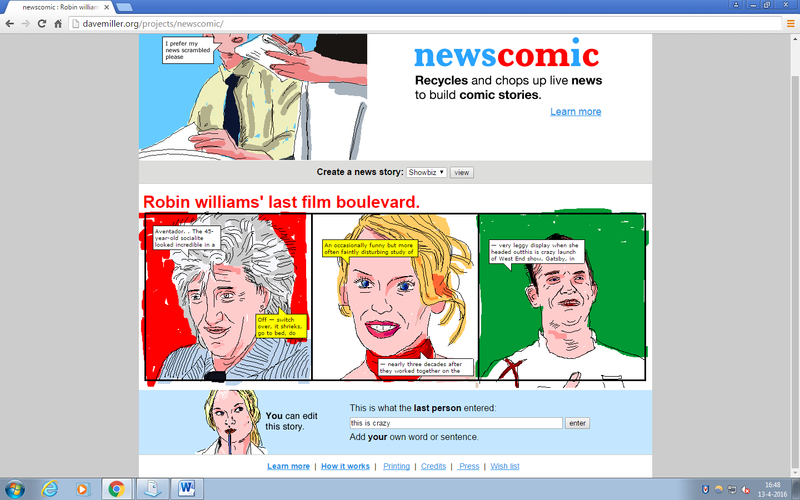 The result is a unique combination of a disjointed news reader, and a live comic story builder. It enables you to get the gist of the latest news, and at the same time enjoy a surreal comic, one that you have contributed to.